MM2 Public Relations - Is P.R. a Contributor to Fake News? Is P.R. a Contributor to Fake News? We hear a lot about “fake news” these days. But what is it exactly? Usually the term fake news may refer to a story that is patently false, having been fabricated out of thin air. But some stories that earn this label may actually contain an element of truth that has been misrepresented or exaggerated in a way to mislead or generate profit. 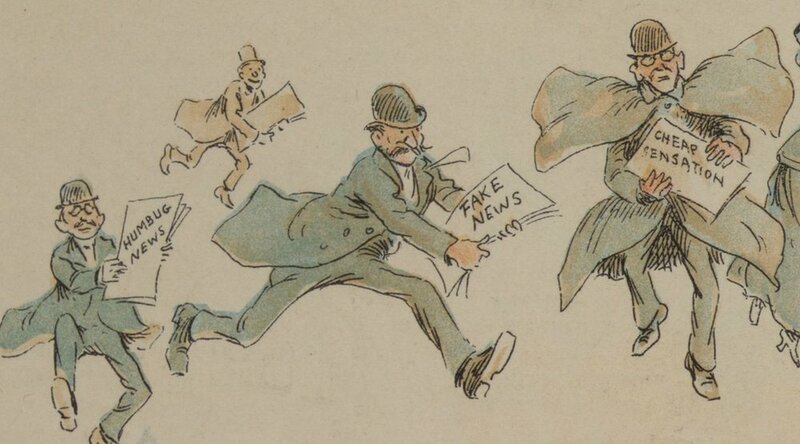 Thinking in those terms, does our work in public relations – with a focus on the positive and promotional aspects of a client’s business – qualify as one form of fake news? First, some background. You may think “fake news” is a relatively new phenomenon, having achieved prominent notice during the 2016 U.S. presidential election. Only the term is new, but the concept is quite old. Did you know that Roman politician Mark Antony’s suicide in 30 BC was due in part to a misinformation campaign conducted by his political nemesis Octavian? And there are many other examples of fake news through the centuries, including major instances during both world wars of the 20th Century, and Benjamin Franklin’s fake news story about murderous Indians working with King George III during the American Revolution. Thoroughly check all facts to ensure accuracy. Remain transparent, and don’t pretend to be something you’re not. Use multiple sources to support the story, including analysts, customers and other third parties. Recognize there are opposing viewpoints where possible. Make sure it is clear that the client is the source of the material. Finally, when writing a story, we should always adhere to sound journalistic principles. That will be our topic for next week.